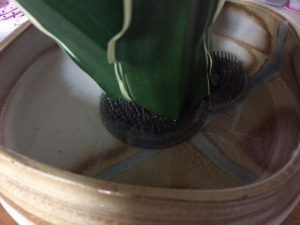 Ikebana lesson in Kyoto! 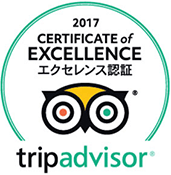 Let’s enjoy Japanese flower arrangement! We have Ikebana lesson here in addition to tea ceremony and Kimono wearing. 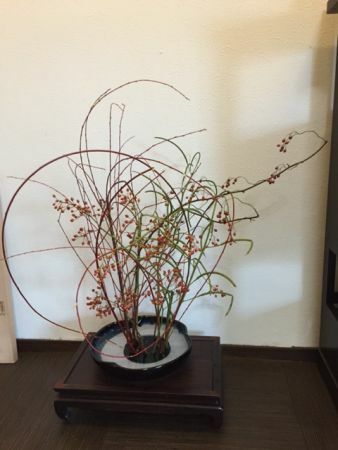 What’s the difference between western flower arrangement and Japaneses Ikebana? 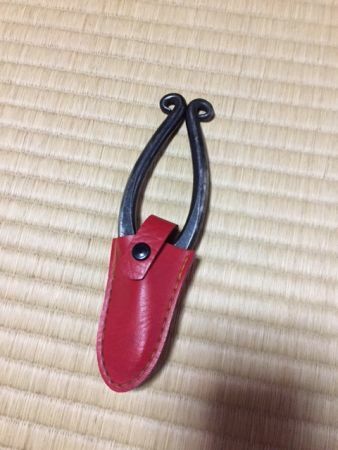 What kind of utensils we use for Misho-ryu Ikebana school in Japan? What’s the difference between western flower arrangement and Ikebeana? 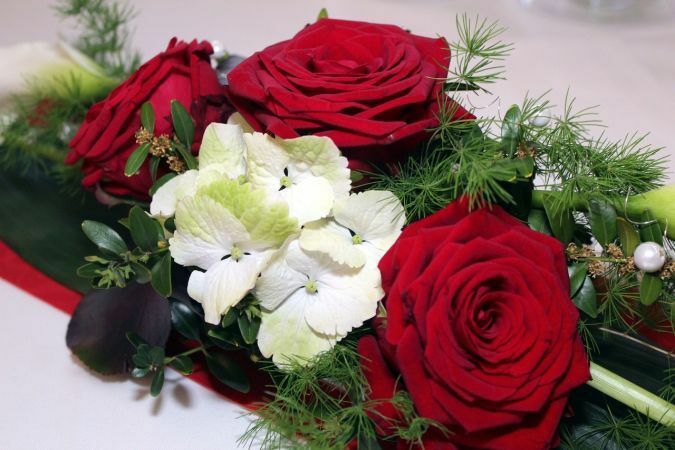 The distinctive difference is the space between flowers. 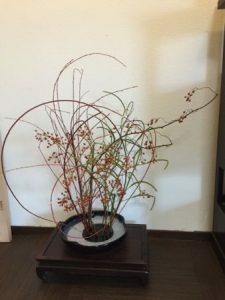 When Japanese Ikebana need the space to create its beauty, western flower arrangement put the flowers in the container without spaces. 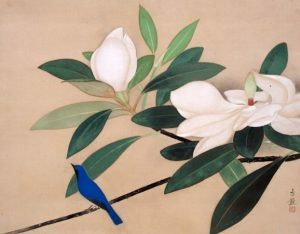 This difference is similar to the paintings of Japanese and western style. You will use the simple 3 utensils. Let’s learn the fundamental way ! I have displayed this Ikebana in 10 minutes. As the athletes of Karate or Judo trains the same forms again and again, as the tea master practice “the way of tea” for years, we also practice 3 types of fundamental ways many times as a beginner. For example, I have learned the fundamental ways of arranging for 3 years at first, then my master allowed me to try another free way. 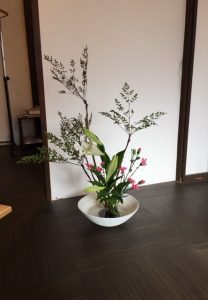 In this 45-60 min Ikebana lesson, an instructor will give you the explanation about history or how to cut them at first, then you can learn the most popular & authentic way of Japanese flower arrangement.